I have to admit the pool decisions have me second guessing myself since this is new territory for me. I'm sure our pool guy is about to throw up his hands if we make one more change, lol. It's especially hard when my husband tells him one thing and then I tell him another. 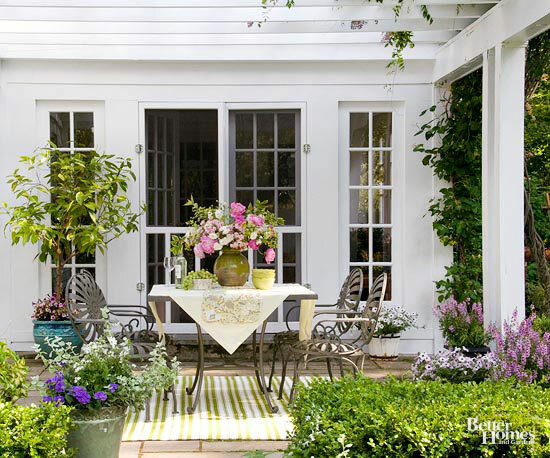 It's like Designing For the Sexes: Outdoor Edition. One thing I don't have to worry about my husband attempting to have input on is the outdoor furniture. This is all me. 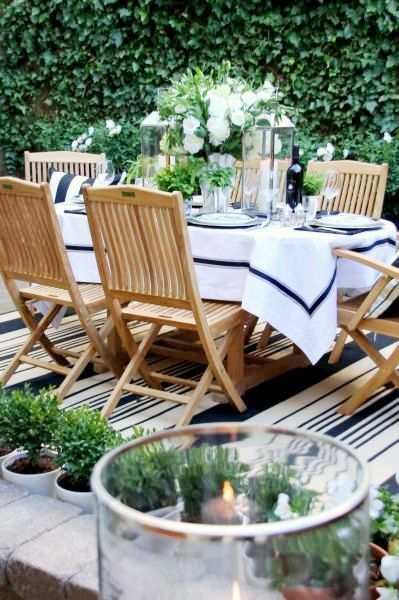 If you've noticed, outdoor furniture is not cheap. This limits my options since I know from past experience spending a lot is not worth it in this climate. 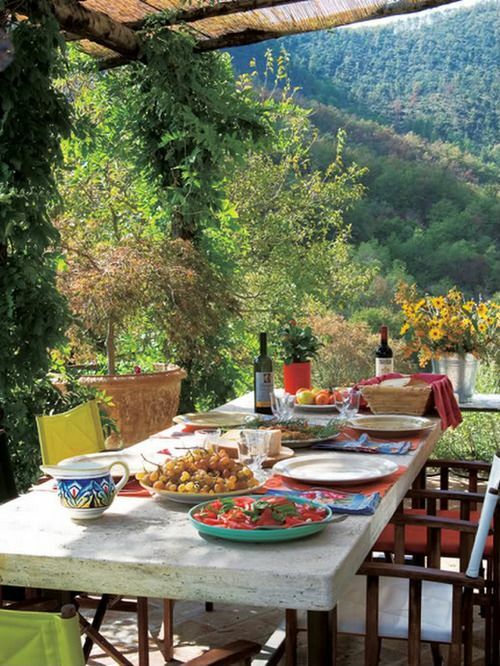 I'm gathering ideas not only for furniture, but for tablescaping ideas when we have parties. Here are a few from my pinterest board. My husband's idea of al fresco dining. 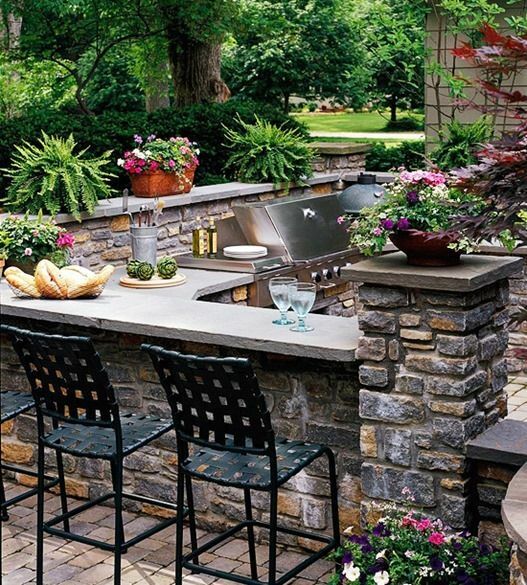 Yes, an outdoor kitchen. The initial plan had one included, but we had to scrap it in lieu of more decking for a dining table. He's bummed. I think he imagined himself as the grill master and bartender (his favorite role when we have guests) as everyone sat around the bar. However, we are making room so we can put one in later. All plans are subject to change as early as today, lol. 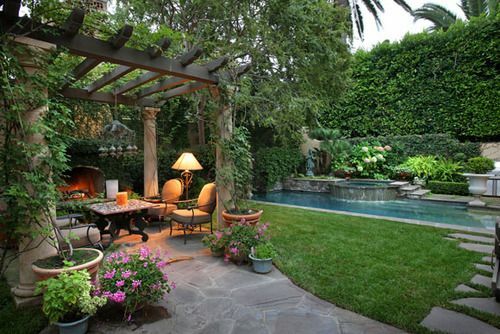 I love outdoor areas like this. 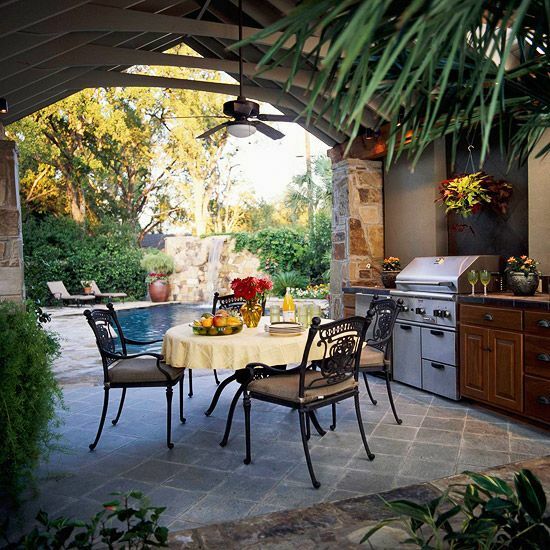 I have that outdoor kitchen pinned too, it's gorgeous! So looking forward to seeing how it all turns out. Adorable! Anyone of those would look perfect along your pool!